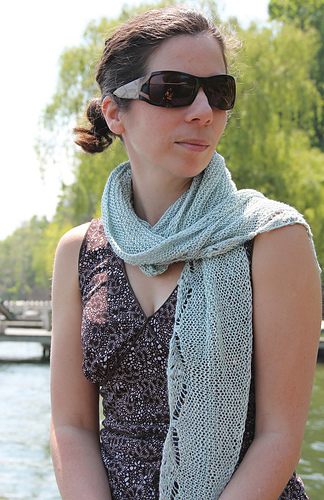 Spumante is worked from the bottom up, it begins with a beaded lace border and then is shaped with simple garter stitch short rows. The eight row edging chart incorporates nupps and beaded yarnovers to create a delicate and textured border. 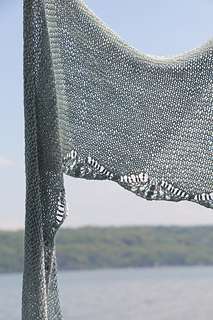 A detailed swatching section with an exclusive video is included to help you get started on this stunning shawl.